The irony of the Internet of Things (IoT) is that it’s pushing new boundaries in large part so we can stay home. Want dinner delivered? Talk to Amazon Echo. Don’t want to go outside? Let an IoT sprinkler water your lawn. Hate shopping? IoT fridges can already restock your larder without you doing anything. For marketers however, the home part is also the tricky part. “Home” once meant “in front of the television.” Even with digital devices, home could be an opt-in space, where people could shut you out if they wanted to. Now, it is something entirely different. We have a variety of devices and platforms that can reach people as they’re going about their daily lives. This is a daunting but extremely important development. 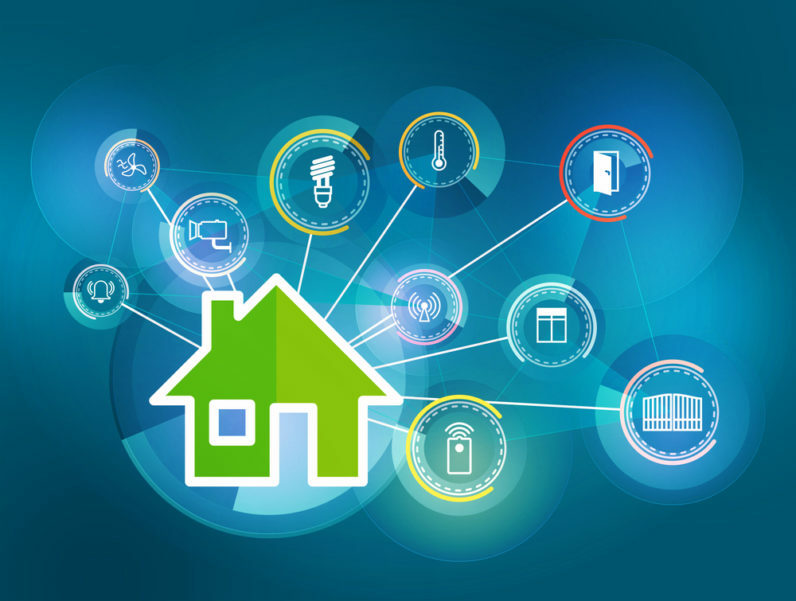 The reason is that no matter what kind of product or service you offer, the connected home adds a whole new dimension to your data. With IoT devices, you can find out not just what customers think about your products, but also how you fit into the fabric of their lives. Reporting devices take up data and transmit it. They include things like motion sensors, smoke detectors, thermometers, and cameras. Action devices are doers, that both receive data input and use it to cause things to happen. Here you can think about smart lights, alarms, lights, switches, and thermostats. Interaction devices are platforms that offer certain functionality natively and allow brands and others to add additional capabilities. Big hits here will likely include Amazon Echo, Apple HomeKit, and the coming Google Home. They will be the major collectors of data — and thus the important platforms for most brands to consider. Obviously, different brands will have quite different opportunities for collecting IoT data. The biggest divide will be between products or services that function in a home, and those that don’t. If you make toasters or humidifiers, you can obviously make them smart and learn from them. Even if you make something low-tech, like detergent, you can build smart replenishment with Amazon Dash or Echo. Of course, if your brand is not really in the home or easily connected to it, you still have options. Campbell’s Soup, for instance, does not exactly scream smart technology. But it created a recipe app on Echo for diehard fans. That will enable it to understand better what people want from it in the very place where they use its products. So how do you find the best way to get into someone’s home? If you’re building smart technology of any kind, start with a question: What does your audience need? To find the answer, you should research the platform or opportunity carefully. Amazon, for example, has made this easy with a web app that lets you play with Alexa right in your browser. Doubtless others will follow that lead. Customers have an increasingly limited tolerance for messages that are not relevant to them. You’ll need to get very user-centric to build something that works in a home. And once you’re there collecting data, you should be able to pivot off of it to make things that work even better. In order to get a reliable source of data, you will need to provide value not just today, but long term. That can come in many different forms: from ease and convenience to providing knowledge or functionality that makes things better. It’s also important to get started. If you’re looking for a quick win, Amazon Dash buttons are an option for many brands to start learning about their customers’ usage patterns today. And use common sense. You are putting your brand into someone’s home. Be mindful of when and where your customers want to be bothered. I recently saw an ad for a dishwasher that texts you when your dishes are ready to be put away. No one wants to receive that message when they’re going to bed. In any case, welcome home. It’s an exciting place to be. Up until now, many of the world’s biggest brands only knew their customers through audience research. As the connected home becomes commonplace, we’re going to get a new level of insight into their lives. What we do with that will make all the difference.